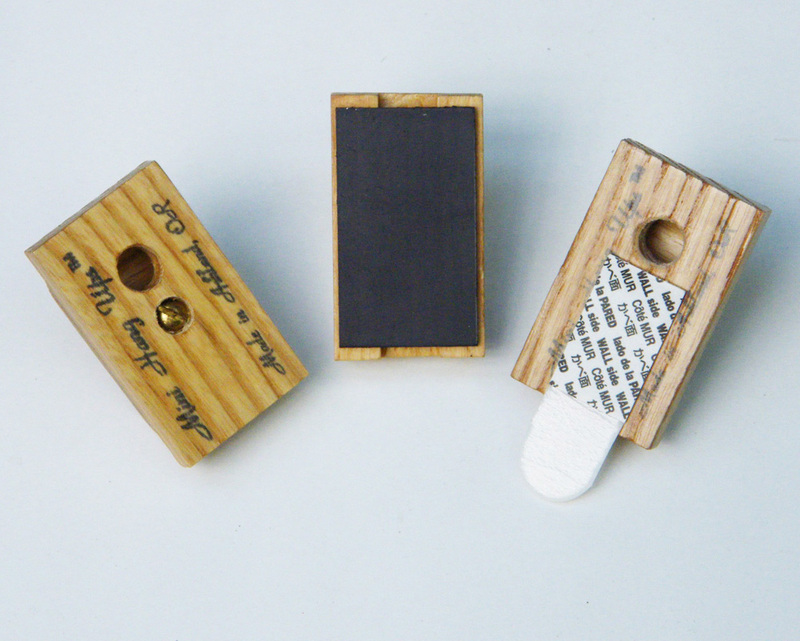 Wooden Quilt Clips dressed in archival clear satin and painted finishes. and Mini Hang-Ups™ fabric hangers. 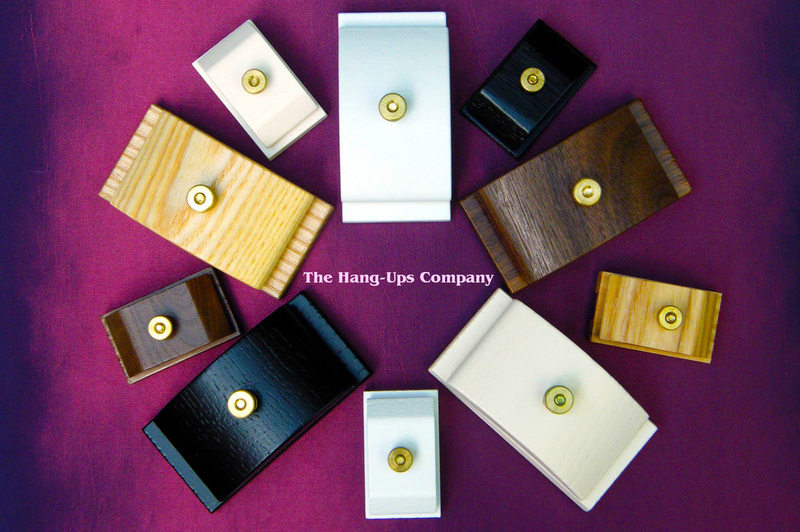 These hardwood hanging clips or clamps can do it all. flat or curved or even around a corner. Side view of Ash hanger. Quilt clips gently hold your fabrics. 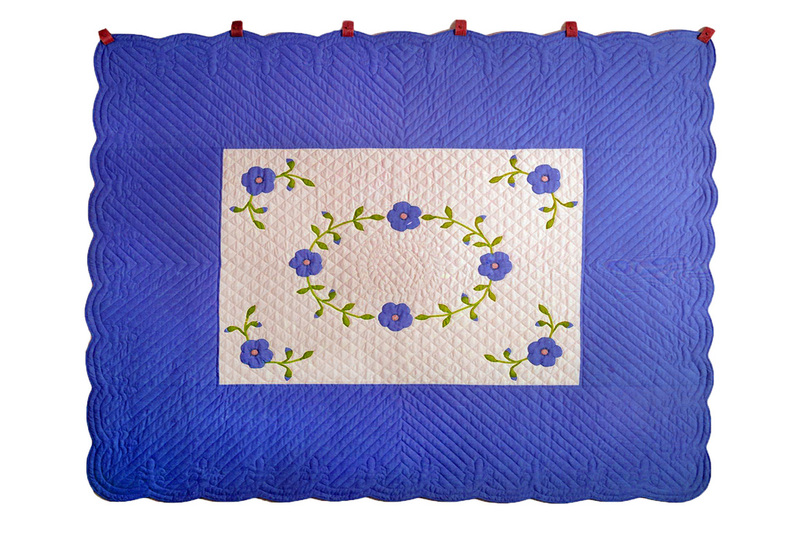 Six Hang-Ups™ regular size hangers gently hold along the width of this large quilt. Why use Hang-Ups™ quilt clips? Attach to wall with light-weight hardware. How do I use Hang-Ups™ hangers? Unscrew the top nut of quilt hanger to open, insert your hanging between wood surfaces, and tighten gently. 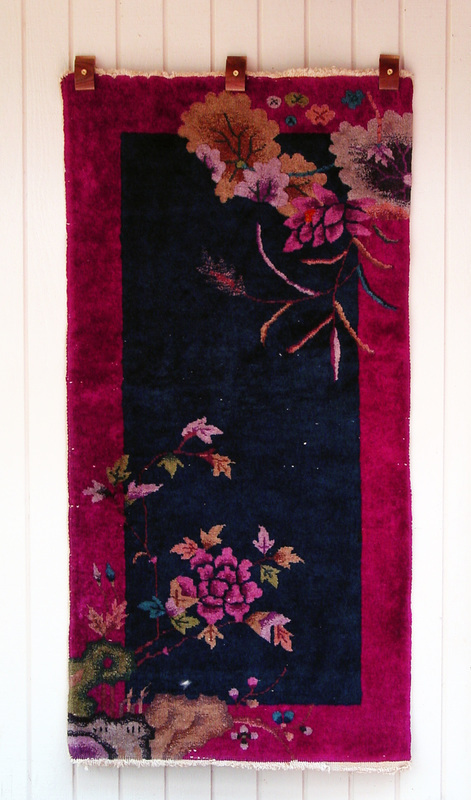 top edge depending on size of your wall hanging fabric art. The backs of the hangers are suspended over push pins, small nails, or other hardware appropriate to your specific wall. Some people even use old sewing machine needles in the wall. You may also ﻿﻿﻿use removable 3M Command strips, as shown. 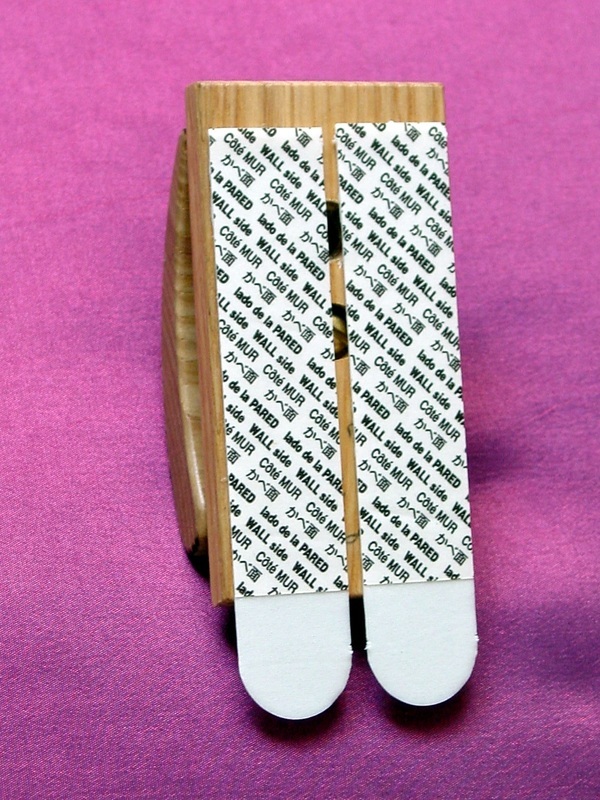 Back view of Walnut Hang-Ups™ quilt clip -- regular size. The hole is designed to fit over a push-pin or may be used with a small nail, screw, or other hanging hardware appropriate to your own wall. If you would like to permanently mount these fabric hangers, you may use a large washer over the back hole and the appropriate screws for your wall. Then the tops may be simply loosened and tightened as you hang your art. Mini Hang-Ups™ can have 3 types of backs: 1.) 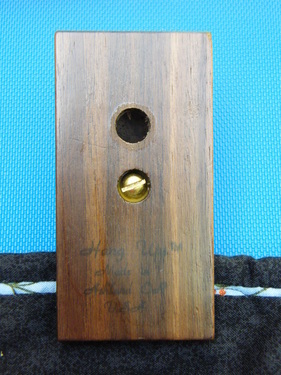 a simple hole to go over a push-pin or angled small nail; 2.) a magnetic back for front doors, fridges, etc; or 3.) a small 3M Command™ adhesive strip. 3M Command™ adhesives on back of regular size ash hanger. These work on any non-porous wall, such as sheetrock sealed with paint. Walnut Hang-Ups™ quilt hangers hang this wool rug. Hang-Ups™ wooden quilt hangers are versatile. They may also be used to hang rugs, tapestries, banners, and a variety of fiber and fabric arts.